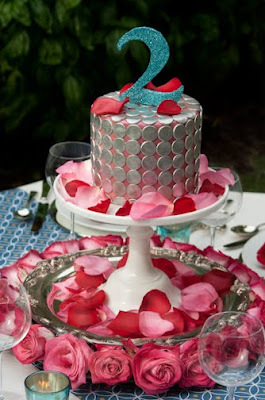 Sugar Couture sweetens the deal with custom cakes and confections that make lasting impressions and delicious memories. One of the many reasons I love making wedding cakes, is that in some little way, I get to be part of the moment, the memory, of so many terrific couples. Some I hear from, some I don't, and sometimes, its years later, when the first child's birthday comes around when I hear how much they loved their wedding cake. Sometimes they tell me people still talk about it. So lovely to hear. Unlike so many other things in life, I don't take it personally when I don't hear from a bride on Monday morning... I didn't call my cake maker after my wedding, (would have been hard from Belize) but my cake was everything I wanted and more. So when Matt and Natalie sent me these gorgeous photos the other day, I had to catch my breath when I opened the email. This is a cake I delivered myself, and when I left it there, all lonesome in the middle of a huge room, against the back drop of massive windows, looking out to the city skyline, I definitely felt the room engulfing what now seemed to be this puny little cake. I felt a little sad that it wouldn't be able to stand up to the show. But I was doing what I often council my couples not to... I was looking at it out of context! Its a whole different cake I see sitting before the beautiful couple, with the cheeky little guy sticking his finger into it, lit gloriously by the setting sun over Manhattan.... Suddenly this cake seems so much more than what it was when it left my hands. Matt and Natalie added that glow in the room that positively lit up that cake. Thanks to them for sharing this moment with me and teaching me, once again, the important lesson of context. When I first stumbled onto Nonpareil Magazine, I knew I just wanted to be a part of it. Flipping through, I was smitten with the beautiful work and lovely photos, which you may know are two of my very favorite things! 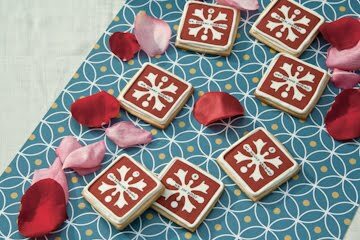 Ever wanted to know how my lovely seating card cookies were made? 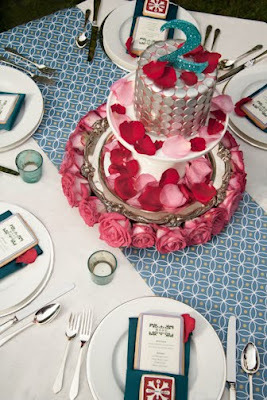 DIY for that, along with edible cookie menu cards and corresponding table cake numbers can be found in the latest issue. Thanks so very much to the lovely and ultra talented Lauren Hawkins of Lauren Hawkins Design who contributed her amazing talent to this project. 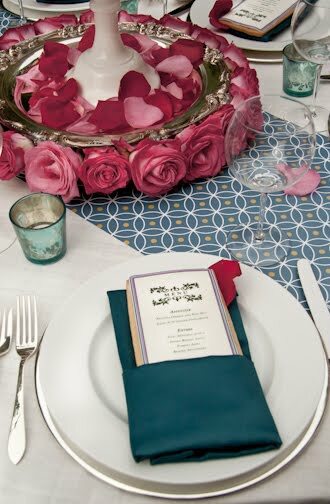 She designed these cookie backgrounds, menu templates and gorgeous table runner. Lauren is a graphic genius and brilliant collaborator, who gets it right every single time. So check out Nonpareil to read about my cookies, and drink up all the other brilliant inspiration in its pages! Penny Stankiewicz is a seasoned film producer in New York where good food and inspiration abound. Not sure where it would lead, she indulged her inner chef and attended the Institute of Culinary Education. By the time she had completed her studies in sugar, she had found her calling in confectionery art. Sugar Couture and has since earned kudos from Time Out New York, the New York Daily News, Westchester Bride and her devoted clients. Her cakes have appeared on many popular tv shows, including My Fair Wedding with David Tutera, The Morning Show with Mike and Juliet, and Life in the Fab Lane. Penny also leads popular confectionery classes at Blu Culinary Arts and the 92nd Street Y. Her culinary and pastry classes are some of the most popular at Sarah Lawrence College. For more info on that program, go to www.slc.edu and click on adult programs. Penny is also available for private instruction. Financiers... and a Give Away!